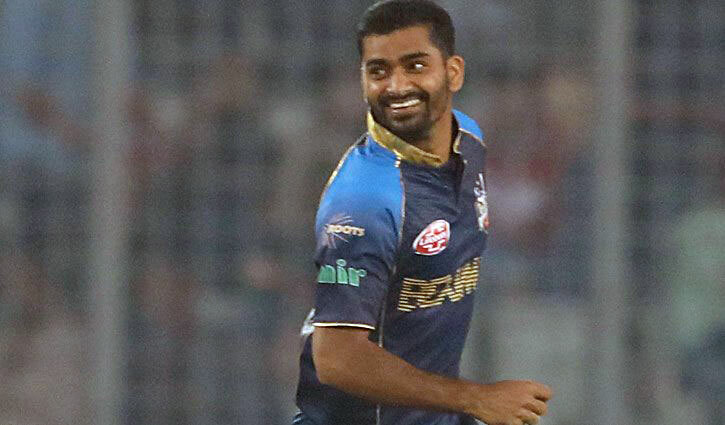 Sports Correspondent: Defending champion Rangpur Riders have officially raised questions as to whether Dhaka Dynamites spinner Aliss al Islam’s bowling action is legal. Aliss came to the limelight on Friday with a match-winning performance with the ball against Rangpur, finishing with bowling figure of 4/26, including a brilliant hat-trick. Aliss’ bowling action was reported while he was playing in the first division league in Dhaka where he took 27 wickets in the competition. This is his first appearance in the BPL as the 22-year old off-spinner has not even played in the Dhaka Premier Division Cricket League yet. “We were informed four days earlier that outside the draft, a player can be included in a team, and Aliss was drafted in the Dynamites squad. Although we did not have any official problem regarding his inclusion, it should be mentioned that his name is in the suspected bowling action list from the first division of the Dhaka League. We have been told that his action was reviewed, but looking at his bowling action in (Friday's) match, it seems that his action has not yet been rectified. It seems his arm bends more than the tolerance limit of 15 degrees, especially when he is bowling his ‘Doosra’ deliveries,” said an official press release of the Riders.